Construction, Hospitality,F&B, Retail, Maritime, Banking etc. The LearnTech solution for organisations wish to bring workers up to speed quickly for deployment, and ensure consistency in standards regardless of where they are physically (spread across many job sites/countries). 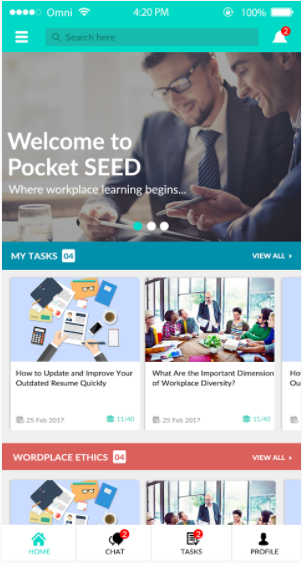 Pocket SEED is designed for learning at the workplace where L&D teams can deliver learning through bite sized, engaging content where workers can learn, apply and share their knowledge with the rest of your organisation for long term business growth. Pros: Easy to use and highly beneficial to staff as a daily performance tool at their workplaces. Would recommend. Cons: Team needs to be dedicated to implementing change in the company. This will be beneficial in the long run.